I have looked at warthunder and World of tanks but it's too arcady to my liking. Anyone knows of any better one's ?. Simulations included are fine with me. Looks interesting !. But i'm really not gonna spend 100€ on a game that comes with a dongle and that looks like it was developed in 2006.Also the sounds are horrible. Played WoT a lot a lot,i was even in the Alpha stage of development.The game was amazing at the begging and all but last couple of years it lost its way. Warthunder's realistic and sim mode is exactly what you're looking for. I NEVER touch arcade in Warthunder. Checking this out right now watching the video.. This looks good, but when the tanks fire on enemy tanks the cross hairs are directly on target, what happened to aiming above target and allowing for range to target? An arc to the shell trajectory? Tanks are equipped with a ballistic fire-control computer in order to fire accurately. - It's point and shoot. I was expecting this for aiming at a moving target and for distance as well. 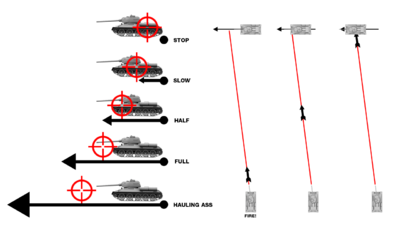 I know tanks now have auto adjusting barrels while moving at speed when locked on target, but for manual aiming and not using auto aim, wouldn't this be necessary? but for manual aiming and not using auto aim, wouldn't this be necessary? Yess. Variables like target speed and range makes leading shots mandatory. ^^ ..And none happens in real life in game what is shown in DICE teaser. Hihihii. Armored Fist 3 €9,99 on Steam. I don't understand your "sounds fishy" statement. They HiTech creations was started in the early days of flight sims online around when Air warriors was fading. They maintain servers and control of game content, Bud Anderson used to fly Aces high. I guess the 14.95 a month subscription fee might cause some angst, but its a free down load and some content is free. The owner and creator is on their forums all the time, guess you can call me a loyal patron since 2008. Its dam fun, but like Squad a steep learning curve. Just not a fan of subscription. Paying for a game and paying inorder to be able toplay a game is just money milking IMO. Now What DCS world does, asking a set price per Jet module is something i find acceptable. As they put alot of study and work in developing jets. The base game comes free aswel.